We are the only retailer in the UK offering the different ITSF official foosball tables used in competitions around the world. All come with Free Delivery and our Special Offer Pack. We are the only retailer in the UK offering the different ITSF official foosball tables used in competitions around the world. Our comprehensive range of coin-operated and freeplay football tables includes tables from Garlando, Roberto Sport, Leonhart and Bonzini, all of which are used in ITSF competitions. ITSF tables have been designed and tested with competition play in mind, and so can be trusted to be the most precise tables available on the market. The ITSF conducts the administering and regulation of the game through its affiliated national associations/federations. The ITSF is responsible for the Rules of table soccer, as well as the technical specifications for tables. All of our ITSF tables have been designed to meet these specifications, as well as being some of the most attractive and robust tables you can buy. One of the most popular tables worldwide is the Bonzini B60, which is the grandfather of the Bonzini range, and is one of the first ever football tables produced on a large scale. 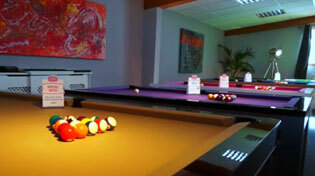 There are over 100,000 B60s in use in over 60 countries, making this an iconic as well as tournament-official table. Whatever you are looking for, we'll have you covered. If you have any queries at all, just give us a call on 0800 622 6464 and one of our friendly expert advisors will be able to help you. Garlando tables represent the more cost-conscious end of the ITSF-approved range, allowing you to play on an officially-endorsed table while keeping costs to a minimum. The Garlando Pro Champion is the official ITSF training table for professional players and can also be used for the international competitions of the Pro Tour category. All of our ITSF tables come with free delivery to most mainland locations as well as free accessories, plus full guarantees from the manufacturers. We pride ourselves on our foosball expertise here at Home Leisure Direct, and will be able to advise you on the best table for you and your needs, as well as securing the best possible UK price on whichever table you choose. If you have any questions about anything we sell, please give us a call on 0800 622 6464 and one of our friendly expert advisors will be happy to help you.